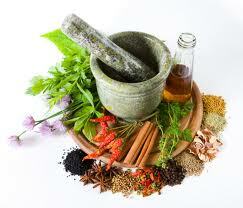 Throughout history, traditional medicine has helped many people. When used appropriately, traditional medicine can be safe health solutions. However, when used inappropriately, such as traditional herbal medicines may cause losses. To use traditional medicines wisely, it is important to realize that there is always the element of risk. Let us see what are the risks to be aware of when using traditional medicine. Although traditional herbal medicines are safer than modern pharmaceutical drugs, herbal not without risk. Thus, the question arises, warnings and recommendations that should be kept in mind what a person when considering treatment with traditional medicine? You should be wary of traditional medicines that you buy. There are many cases of traditional medicine circulation withdrawn from the market because it proved to contain certain chemicals that can cause serious side effects. One way to detect the presence of a mixture of chemicals in traditional medicine among others, by observing the speed of usefulness. Traditional medicine like herbs usually do not merit an instant, if there is so suspicious of the additional chemicals. In recent years, there are also reports of traditional medicinal products contaminated with heavy metals and other contaminants. In addition, there are traditional medicinal products that turned out to contain little or no ingredients listed on the packaging. Of the cases above, it is clear that traditional medicinal products, as well as other drugs, should be purchased at places that are trustworthy and reputable. Yes, buy from a reputable source and already have a marketing authorization. And do not forget, watch the expiration period. A practical guide book titled The Complete Medicinal Herbal Herbal stated, "?? Although most traditional or herbal medicine basically quite safe, it should be used with proper. Do not exceed the recommended dose, do not continue use if the disorder is not abated, or even worsen, or if the proper diagnosis is doubtful. "?? Yes, make sure that you understand and follow the instruction manual. You need to know how much medication should be taken, when to drink, and for how long. You also need to know the food, beverage, and what other medications or activities that should be avoided when taking herbal medicine. Another warning, the use of traditional medicine is very risky for certain people. People who take certain traditional medicines should be careful when going to undergo a medical procedure that requires anesthesia. Dr. John Neeld, president of the American Society of anesthesiologists, explains, "?? Based on experience, it has been reported that several kinds of popular herbs, including ginseng, can cause fluctuations in blood pressure. It can be very dangerous when anesthesia is given."?? The doctor adds, "?? Plants other drugs, such as Ginkgo Biloba, Ginger, and feverfew, can interfere with blood clotting so it is very dangerous when epidural anesthesia is given-if there is bleeding near the spinal cord, paralysis can occur. Among American anesthesiologists also recommend their patients to discontinue the use of certain traditional medicines at least two weeks before surgery because of the risk of interactions between herbal medicines and anesthetics, including increased chances of increased blood pressure or bleeding during the surgery which of course can be life-threatening. Among pregnant and lactating women in particular must be aware of the risks that can be suffered by her and her baby due to a particular use or combine traditional medicine with conventional medicine given. Clearly, it is important to know the reactions that can occur when traditional medicine is used alone or in combination with certain prescription drugs. Therefore, patients are encouraged to discuss with your doctor or an expert in traditional medicine (herbalist) before deciding to use certain traditional medicines or if you want to combine traditional medicine with certain medications as prescribed. The number of traditional medicinal products on the market would make you confused in choosing the right traditional medicine, therefore please read the article Recommendation of Traditional Medicine What's Right for Me? to get the information you need.